Local healthy food fans will get another spot to dine in 2018 when REBoL launches at Bridge Park in Dublin. The Cleveland-based concept focuses primarily on non-GMO and organic menu items, which takes the form of grain bowls, smoothies, bone broths, cold-pressed juices and breakfast sandwiches. Protein options range from grass-fed steak to ahi tuna poke to vegan falafel. DUBLIN, OHIO – REBoL, a Cleveland-based restaurant known for 100% non-GMO and mostly organic menu items, has announced its first central Ohio location at Bridge Park in Dublin. With a projected move-in date of summer 2018, REBoL will occupy 2,900 SF of interior space and a 350 SF patio at 4553 Bridge Park Avenue. REBoL serves some of the most innovative food in the country while maintaining extraordinarily high standards for product quality and speed of service. Available for dine-in, to-go or catering, REBoL prides itself on “fueling urban performance” and specializes in fully customizable bol-style food. The street food inspired bols vary from dry rubbed chicken and grass-fed steak to wild ahi tuna poke and vegan falafel. REBoL also offers organic slow-simmered bone broths and a “Crack of Dawn” breakfast menu featuring tasty sandwiches and nutrient-dense breakfast bols. In addition to their food options, REBoL offers zero-toxin and organic coffee including made-to-order pour overs and nitrogen-infused cold brews. Additional beverages include in-house cold-pressed juice, organic superfood smoothies, turmeric golden milk, local non-GMO project verified dairy, reverse osmosis water, wine and craft beer. REBoL joins a long list of restaurant and retail offerings at Bridge Park, including Pins Mechanical Company, Cap City Fine Diner, Local Cantina, Fukuryu Ramen, Vaso Rooftop Lounge and many more. REBoL is a street food kitchen and brew bar, serving zero-toxin organic coffee, organic produce, non-GMO foods, craft beer, and cocktails. REBoL is the newest and hippest fast-casual spot to hit the restaurant scene. To learn more about REBoL, visit www.wearerebol.com. 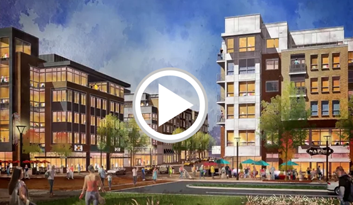 Bridge Park is the newest and only walkable, mixed-use community in downtown Dublin. Spanning 30 acres along the Scioto River, it is the cornerstone of the city’s long-term vision for the Bridge Street District. The unique community features luxury condos and apartments, a grocery, restaurants, shops, Class A office space, entertainment venues, a hotel and conference center and multiple green spaces. Bridge Park includes 373,000 SF of executive Class A office space to meet the needs of small and mid-size businesses. To learn more about Bridge Park, visit www.bridge-park.com. Crawford Hoying is a full-service real estate development company, based in Dublin, Ohio. Concentrating on all aspects of acquisition, design, development, construction, management, as well as commercial and residential brokerage. In the past five years alone, they have developed over $1 billion of mixed-use, multifamily, office and retail properties. Crawford Hoying creates a sense of Place; focused on consumer needs from a commerce, culture and community perspective. Bridge Park, www.bridge-park.com and Water Street District, www.livewaterstreet.com are examples of Crawford Hoying’s transformational development capabilities. To learn more about Crawford Hoying, visit www.crawfordhoying.com.